October 2011. “Saudi Arabia Faces a Changing Middle East,” Middle East Review of International Affairs, Vol. 15. July 2011. “The Kingdom of Caution,” Hoover Digest, No. 3. Spring 2011.“The Muslim Brotherhood in Syria, 1945-1958: Founding, Social Origins, and Ideology,” Middle East Journal, Vol. 65, pp. 11-30. August 2010. “The Shiites of Saudi Arabia,” Current Trends in Islamist Ideology, Vol. 10, pp. 72-86. January 2009. “A Threat in Any Language,” Hoover Digest, No. 1, pp. 71-81. 2007. “Saudi Arabia,” in Encyclopedia Britannica. September 2005. “Terrorist Challenges to Saudi Arabian Internal Security,” Middle East Review of International Affairs, Vol. 9, pp. 1-11. May 2004. “The Muslim Brotherhood and the ‘Struggle For Syria’, 1947-1958: Between Accommodation and Ideology,” Middle Eastern Studies, Vol. 40, pp. 134-158. Spring 2002. “Dueling for Da`wa: State vs. Society on the Saudi Internet,” Middle East Journal, Vol. 56, pp. 222-239. November 2000. ” ’Taking Back’ the Caliphate: Sharif Husayn ibn `Ali, Mustafa Kemal, and the Ottoman Caliphate,” Die Welt Des Islams, Vol. 40, pp. 412-424. September 1998. “The Gulf States and the End of Dual Containment,” Middle East Review of International Affairs, Vol. 2, pp. 21-26. January 1998. “From Chieftaincy to Suzerainty: The Hashimite Vision of the Post-Ottoman Order,” Middle Eastern Studies, Vol. 34, pp. 103-122. 2012. “The Iranian Leadership’s Continuing Declarations of Intent to Destroy Israel,” Jerusalem Center for Public Affairs. 2011. “An Alternative Diplomatic Process: A Renewed Regional Framework for Cooperation in the Middle East,” Jerusalem Issue Briefs. 2010. 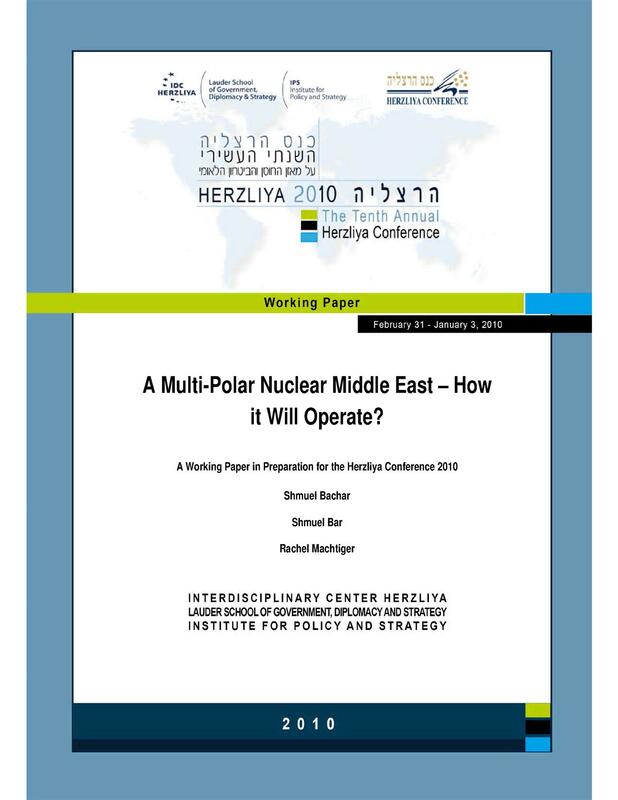 (Team Member), “A Multi-Polar Nuclear Middle East – How Will it Operate,” working paper for the 2010 Herzliya Conference. 2009. 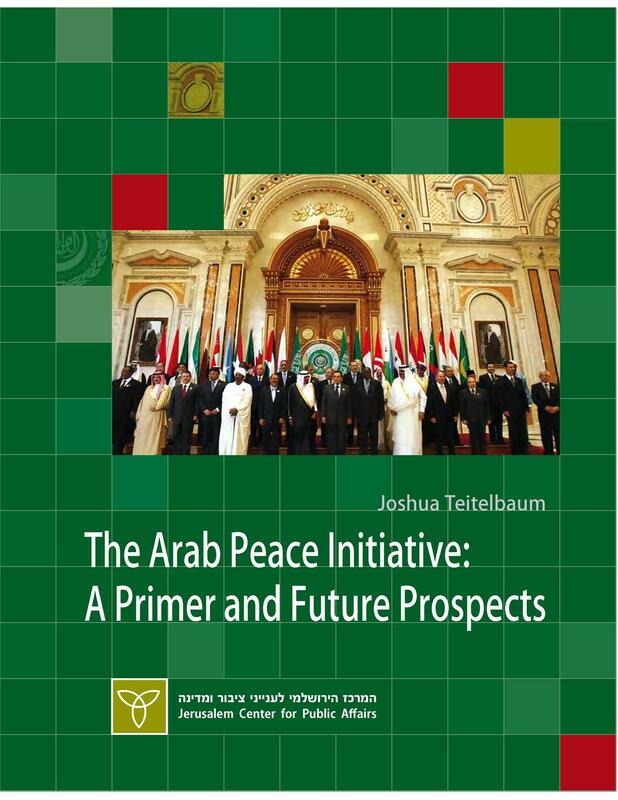 “The Arab Peace Initiative: A Primer and Future Prospects,” Jerusalem Center for Public Affairs. 2008. “What Iranian Leaders Really Say about Doing away with Israel: A Refutation of the Campaign to Excuse Ahmadinejad’s Incitement to Genocide,” Jerusalem Center for Public Affairs.